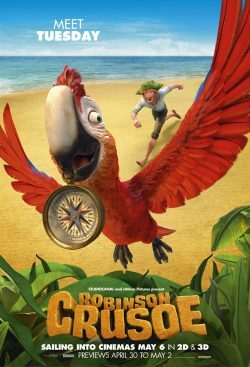 A new take on the classic tale of Robinson Crusoe is coming soon to UK cinemas. This time we focus on some of the non-human characters that help our hero. 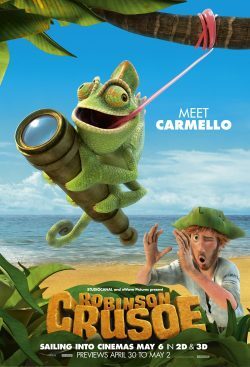 That’s why we can give you a great set of character posters for the film. Not only that, just scroll down and watch the trailer as well. As mentioned above, we can give you the trailer. 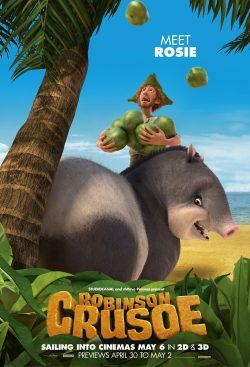 I would recommend you to click and watch it as the film does look great fun for children of all ages. There is enough in it to keep the young enthralled and for the older “children” things that may be missed by the young! 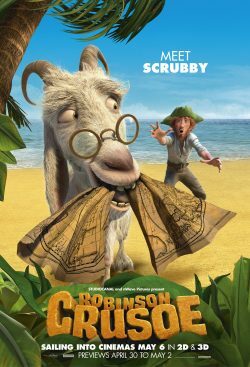 From the makers of The House of Magic and A Turtle’s Tale, get ready for a new take on a classic tale, as we get lost with Robinson Crusoe and a bunch of adorable animals on an exotic desert island.